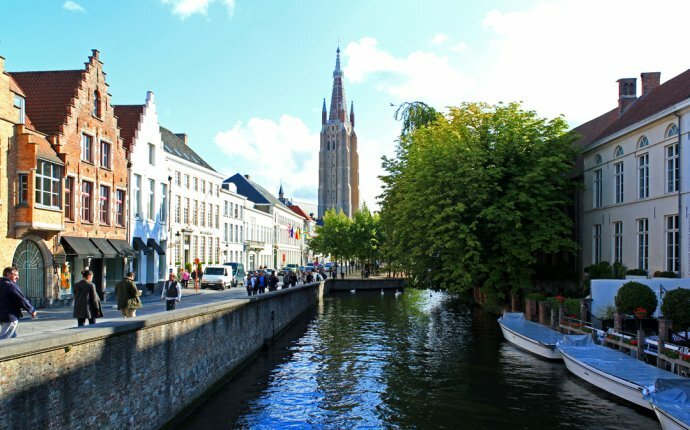 Guide to West Vlaanderen (West Flanders) Province ancestry, family history and genealogy: birth records, marriage records, death records, census records, parish registers, and military records. Most of your genealogical research for West Vlaanderen will be in two main record types: civil registration and church records . This article will teach you methods for locating and searching these two record groups. Accessing the records: Digitized, online civil registration records until 1912-3 are available through FamilySearch Historical Records and the National Archives. For more recent certificates, you need to write to the state, provincial, or municipal archives. 1582-1910 - Belgium, West Flanders, Civil Registration, 1582-1910 at FamilySearch —free, index, incomplete. 1582-1910 - Belgium, West Flanders, Civil Registration, 1582-1910 at FamilySearch —free, browseable images, incomplete. a. Click on this link to see a list of records for Belgium, West Vlaanderen. b. Click on "Places within Belgium, West Vlaanderen" and a list of towns and cities will open. c. Click on the town or city you wish to search. d. Click on "Civil Registration" topic. Click on the blue links to specific record titles. e. Choose the correct event and time period for your ancestor. f. Some combination of these icons will appear at the far right of the microfilm listed for the record. . The magnifying glass indicates that the microfilm is indexed. Clicking on the magnifying glass will take you to the index. Clicking on the camera will take you to an online digital copy of the microfilm. Clicking on the microfilm reel will lead to information on how to rent the film. Family History Center staff will assist you in ordering the film.